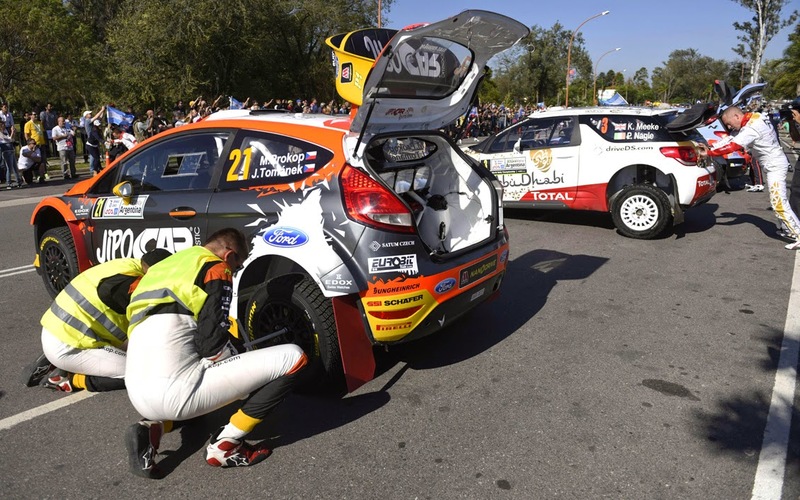 Earlier today and ahead of this weekend’s fourth round of the FIA Rally Championship, the XION Rally Argentina, eleven of the top teams took part in the inaugural ‘WRC TV Wheel Change Challenge’ in Villa Carlos Paz. And for once the VW boys didn’t win! That honour fell to top Brits, Elfyn Evans and Dan Barritt, who were crowned Kings of the Wheel Change. The competition started with the crews strapped up inside their cars. Against the clock they had to unfasten their seat belts, jump out of their cars and change the rear left wheel. Then the jack had to be replaced and the ‘punctured’ wheel put back in the boot before grabbing an Argentine flag to signal the finish. The M-Sport twins completed the task on their Ford Fiesta RS in a blistering 46.00sec to defeat Thierry Neuville and Nicolas Gilsoul (Hyundai i20) in 47.07sec, with Sébastien Ogier and Julien Ingrassia (Volkswagen Polo R) in third in 47.13sec. “It worked out really well, but let’s hope we don’t have to put it into more practice on the rally! We’ve spent quite a lot of time over the last few years trying to get the best system and it showed. 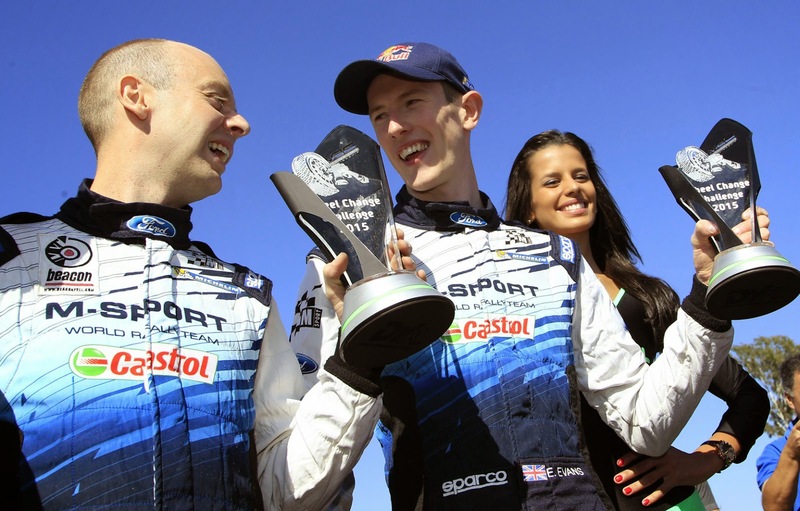 It’s a great way to start the event but repeating this win on the rally might prove a bit more difficult,” said Evans. And finally, last to finish were Martin Prokop and Jan Tománek who entered into the spirit of the event by donning hi-vis jackets before starting their change. The ‘H&S safety first’ approach took a leisurely 3min 08sec.